The following links should prove useful if you want to find out more about the background to the study and to the issues it addresses. British Psychology Society Research Digest This site provides excellent resources for teachers and students of psychology, as well as an active and up-to-date bulletin board and discussion forum. 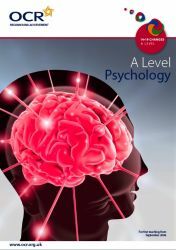 The British Psychological Society also produces a range of other free resources for students and teachers, including samples of The Psychologist. Social Psychology Network This comprehensive site provides access to a wide range of resources and contacts relevant to issues in contemporary social psychology. BBC News Articles on the social psychological dimensions of abuse at Abu Ghraib. The Stanford Prison Experiment This very popular and accessible site provides details of Zimbardo’s classic study. Open University The BBC Prison Study has recently been included as part of the OU's social psychology course. This link contains a number of useful resources including a 12-minute downloadable podcast in which issues raised by the study are discussed. OCR Exam Board From 2008 the BBC Prison Study has been included as one of the 15 "core studies" on OCR's very popular A-level Psychology syllabus. Indeed, this fact provided a major impetus for the creation of this website — enabling teachers and students to have easier acces to information and materials relevant to the study. This link is to a brochure that provides details of this course.